A while back, I shared my tips for a smooth morning routine. I'm not going to lie... not every morning is as smooth as that post would make you believe. Because, Toddlers. While I can do everything in my power to prep for a busy morning. I never know when someone will have an unexpected dirty diaper as we're walking out the door. Or when my sweet loving angels will turn play time into World War Three over something extremely [un]important like a sticker. 1. Set The Tone: While you can't prevent inconveniences, you can prevent a bad atmosphere. Your vibe will set the mood for the morning and perhaps the rest of the day. That means you should do your best not to lose your patience (guilty) with your kids, your spouse, the dog or the coffee machine. Take deep breaths and work through your morning one moment at a time. Having a calm/relaxed approach will actually help you think and work more efficiently to get out the door in a timely manner. And your kids will thank you for it. They hate those grumpy/rushed car rides just as much as you do. 2. Ask Your Kids Questions: This is something I love to do in the morning in order to get their brains going. I'm not talking about "What are you going to do at school today?" Questions.. Or anything else they can answer with a quick "I don't know" or "Notthhhiinnnnnggggg". Ask them something specific; "Hey, did your friend Jane say anything silly at lunch yesterday?". Ask them to help you with something; "I'm having a hard time remembering what I put in your lunch yesterday, do you remember?....." or something silly; "....was it a shoe?" You know you're child best. So get creative and think of ways to get them talking and laughing. 3. 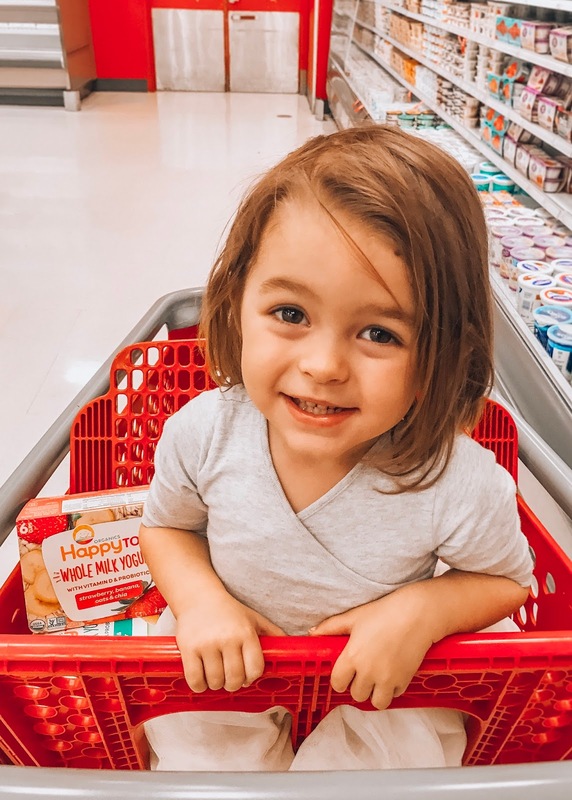 Take The Time For A Healthy Breakfast: If it were up to my kids they would eat nothing but toaster pastries every morning. And there's nothing wrong with a good pastry in my opinion. But, we have to work in moderation, right? 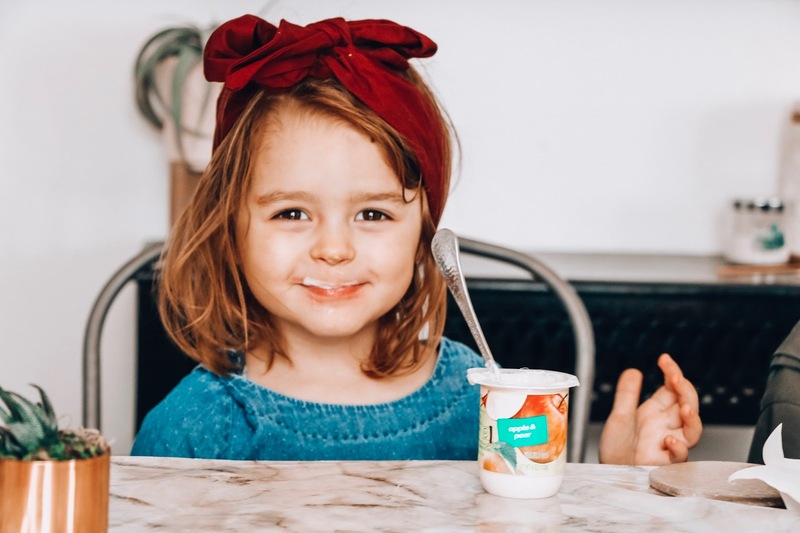 So if your kids love a little something sweet like mine you can always try to balance out their morning meal time with a delicious yogurt! 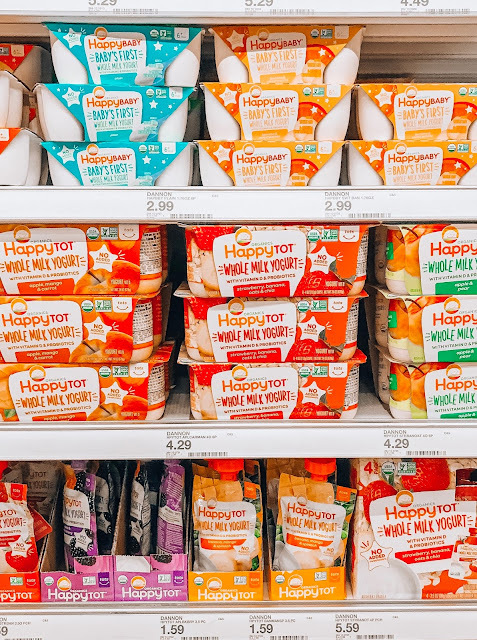 My kids have been loving Happy Baby products since they were little and now that they have launched Happy Tot Yogurt at Target, we've been keeping our fridge stocked. (Between myself and the kids we go through a lot of yogurt in this house). 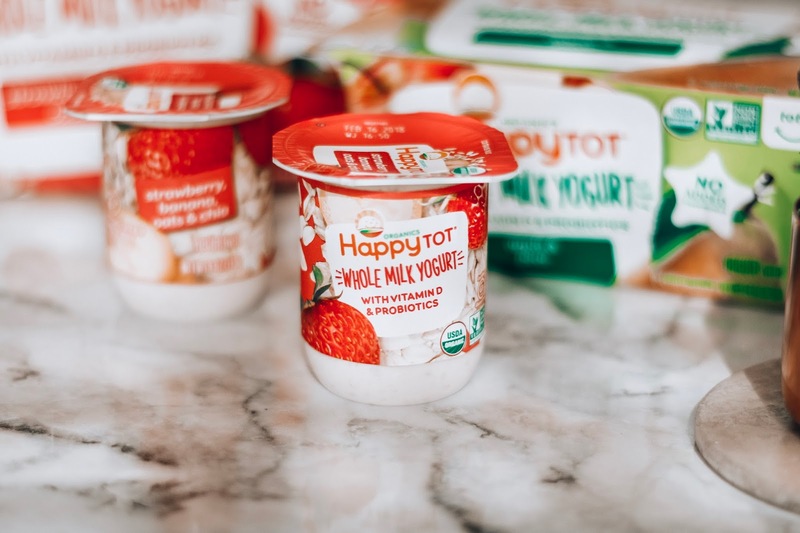 I love the Happy Tot Yogurt because they're made with Vitamin D Whole Milk, Probiotics and have no added sweeteners or GMO's. They also have a great flavor range. But, my kids seem to love the Apple and Pear! 4. Be Prepared: An old but good one. 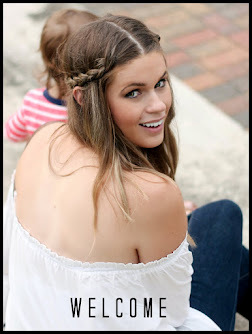 There aren't many de-stressors or time savers that work like getting ready the night before. If your kids can be difficult about getting dressed, maybe ask them to help you pick something out each night. That might cut down on some of the day of issues. Do the same with their lunches and homework. 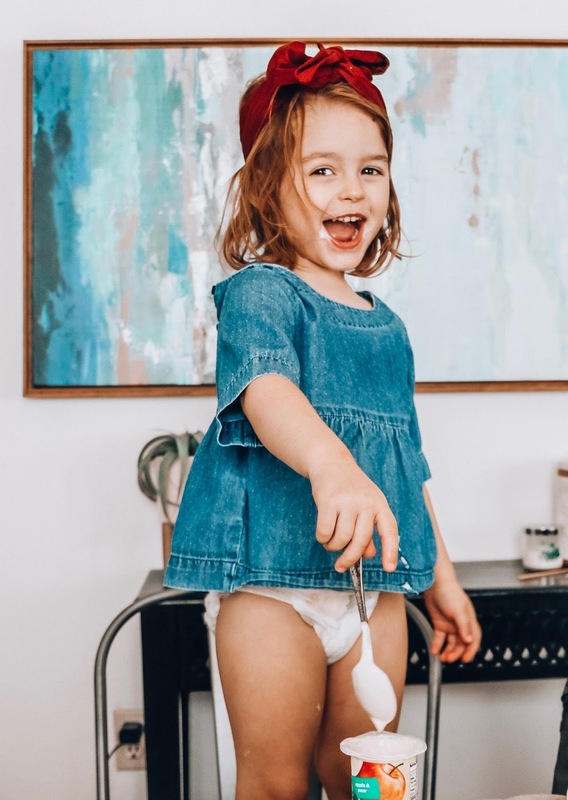 What are your tips to keeping your mornings smooth and happy?! Please let me know in the comment section! 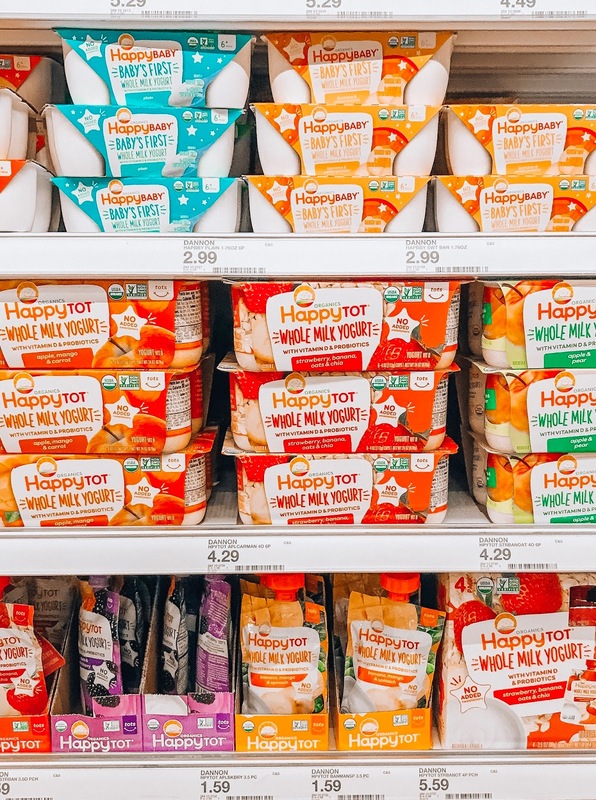 And don't forget to check out the Happy Tot Yogurt on your Target Run!